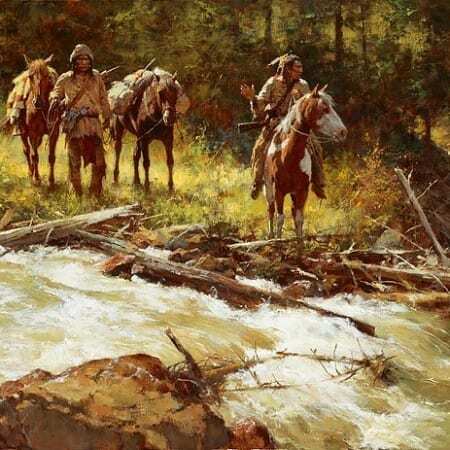 The Plains Indians depended heavily upon the buffalo to meet their needs for food and shelter, but not all years were good ones for hunting. 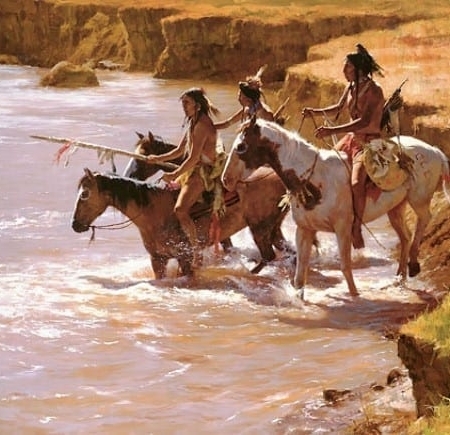 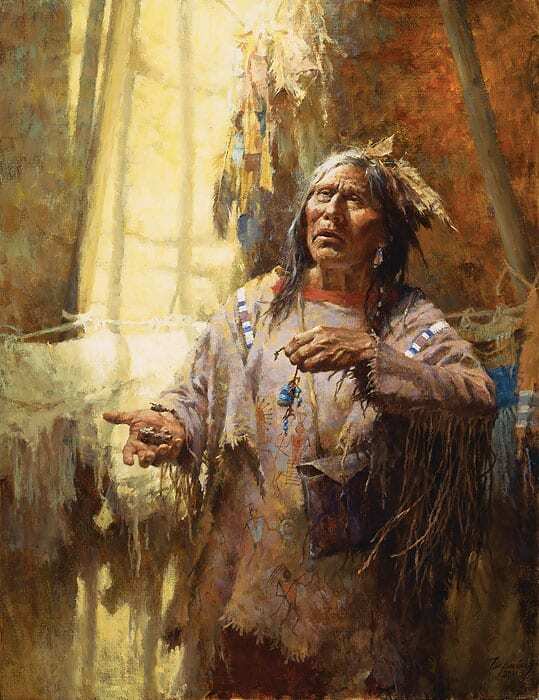 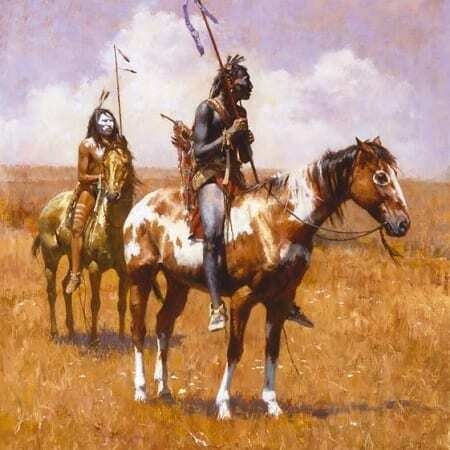 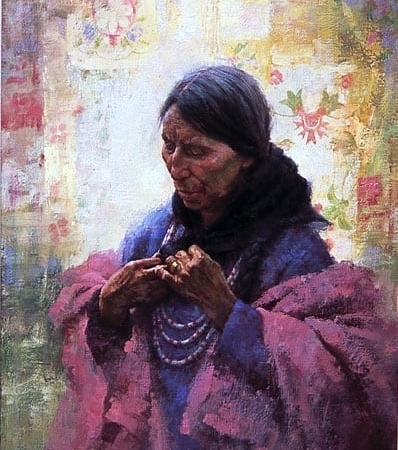 In Howard Terpning’s Calling the Buffalo, an aged Blackfoot offers prayers that the herds will come; his upturned right hand holds an ancient fossil, called iniskim, shaped like a buffalo. There is hope on the wise man’s face, along with the weariness and concern, and he keeps faith that the needs of his people will be met.